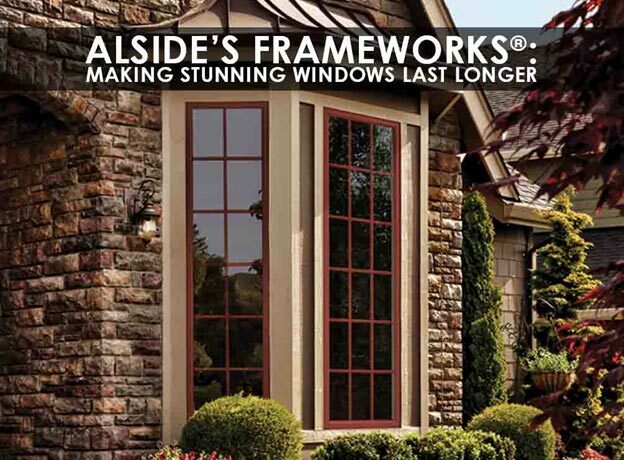 As the premier provider of custom-built replacement windows in Michigan, Kroll Construction recommends Alside’s FrameWorks®. One of the many reasons the brand is the ultimate choice for replacement windows is their color technology. It makes beautiful windows efficient and durable. Thanks to FrameWorks, Alside windows come in nine interior and exterior palettes. Regardless of your chosen color combination, you can pick the most suitable accent hue and wood grain pattern to complement your home’s architecture. It also comes with a stunning matte texture to lend a touch of elegance to your home design. From rich contrasts to subtle shades, FrameWorks finishes make it easy to create visual harmony with your new windows in Detroit. Wherever you live, FrameWorks makes your windows withstand the rigors of Mother Nature. This finishing technology brings the weatherability of our Alside windows to new heights, allowing them to withstand even extreme conditions. FrameWorks makes windows resist salt air damage and keep them aesthetically pleasing despite your seaside climate. Be it dirt or chemicals, expect the finish of your windows to stand up strong to environmental pollutants night and day. With FrameWorks finishes, rest assured your replacement windows in Detroit would last longer. It features remarkable UV resistance to say no to fading for the years to come. Apart from its ability to resist solar damage, FrameWorks uses adhesion-promoting additives and heat-reflective pigments to reduce heat gain. Although you might choose a dark exterior color, your windows would just send the sun’s undesirable heat back where it comes from. Discover the other benefits of Alside’s FrameWorks window finishes by consulting Kroll Construction. Call us now at (888) 338-6340 to learn more.